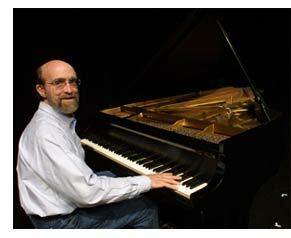 Solo pianist George Winston, known for his many seasonally themed recordings, will play at the Charles R. Wood Theater on Sunday, November 7, 2010 at 7:30 pm. Winston's recordings include seasonal titles such as "December", "Autumn", and "Winter into Spring". He recorded his first solo piano album in 1972, and since has released nine more. His latest, titled "Gulf Coast Blues & Impressions - A Hurricane Relief Benefit" was made to aid those still affected by Hurricane Katrina. His next album is called "Love Will Come - The Music of Vince Guaraldi, Vol. 2", and is currently in release. At the concert, Winston will display his range of skills, playing his signature melodic piano songs, with the addition of R&B and stride piano, Vince Guaraldi Peanuts ® pieces, Hawaiian slack key guitar, and more. There will be a food drive at the concert in support of the American Red Cross Adirondack/Saratoga Chapter Food Bank. Audience members are encouraged to bring a non-perishable food donation. Tickets are on sale at the Wood Theatre Box Office for $48. For more information, call (518) 874-0800.